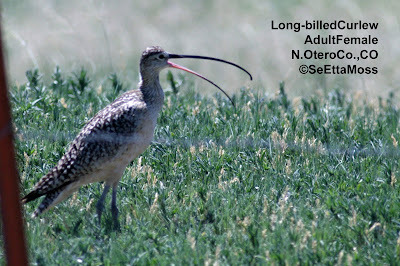 The female curlew was most accommodating in posing for a number of still pics and video. 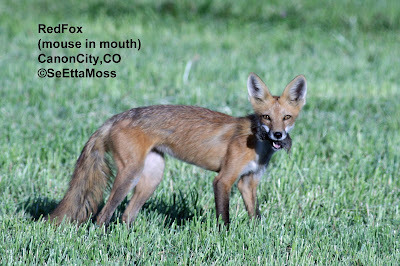 She did appear to be trying to figure out what was making the click that my dslr makes when I snap a photo and would turn her head sideways as shown in the middle pic--maybe trying to triangulate the sound? 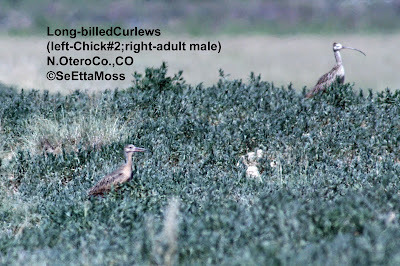 In the top pic the male curlew can be seen standing not far from the younger chick (about 30-40 feet in this pic). 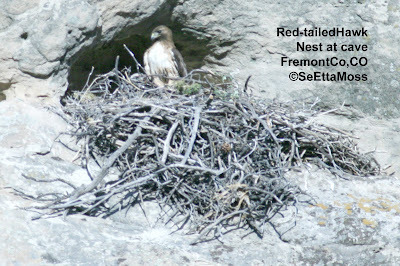 He was a vigilant parent, staying within about a hundred feet and calling frequently to keep contact. When I moved my car closer to the canal, it called loudly and flew up in air (though it didn't fly towards me so not sure that was a true aggressive display, maybe just a warning display?????) to make it's displeasure known and warn the chick. 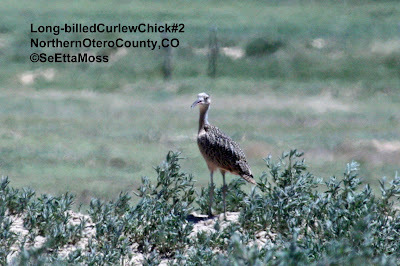 I returned to northern Otero County, CO yesterday in hopes that I could refind the Long-billed Curlew family I posted on below. 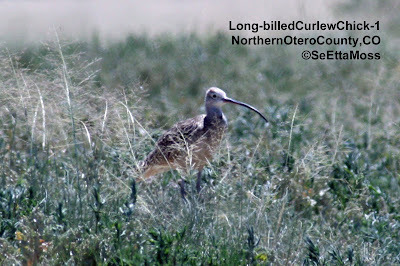 I was delighted to find them only about a quarter mile from where I had seen them last week. 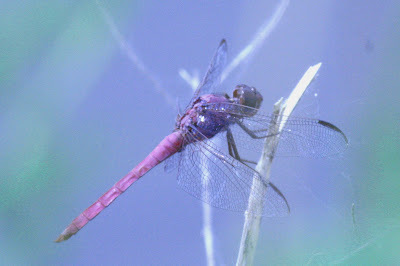 I first saw the adult male--it was on the top of the banks of an old irrigation canal that has gathered enough rain water this year to produce some nice wetland vegetation and some standing water. This probably produces a nice invertebrate food source. 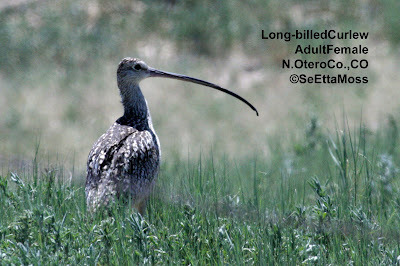 After I watched the male for a little while, I spotted a Long-billed Curlew chick and took the photo above.